“BUD-LIFE!! !” by Dr. Cesar G. Espineda. Dr. Espineda is a Diplomate with the College of Pastoral Supervision and Psychotharapy and is working Bukal Life and CPSP-Philippines in developing its Clinical. “The Vicissitudes of Spirituality” by Dr. Raymond J. Lawrence. Dr. Lawrence is the General Secretary of the College of Pastoral Supervision and Psychotherapy. “God and Human Suffering” by Sr. Patricia Martinez. Sister Pat is a member of the Congregation of the Missionary Sisters of the Immaculate Heart of Mary (ICM). She is also on the Board of Trustees of Bukal Life. “Divine Intervention: The Flight of Elijah in the Context of Crisis Care” by Dr. Robert H. Munson. Dr. Munson is the Administrator of Bukal Life. “A Psycho-Spiritual Journey” by Jehny M. Pedazo. 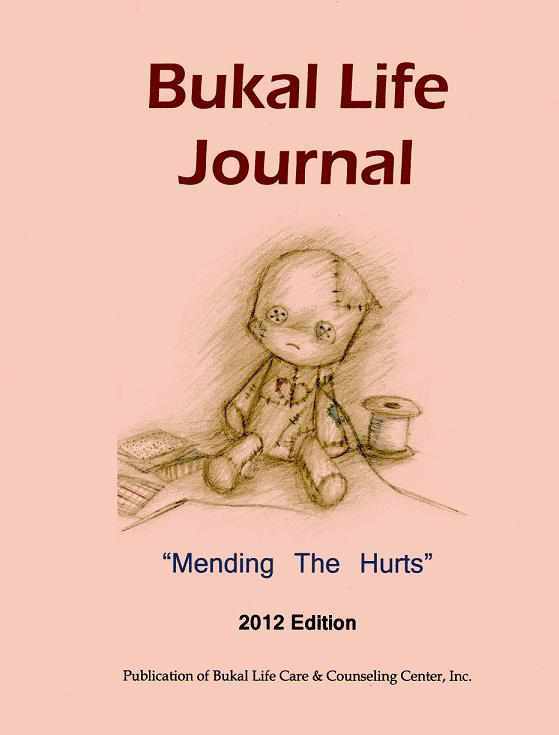 Jehny is the Counseling Coordinator of Bukal Life. “Where I am Now: A Personal Reflection in Clinical Pastoral Education” by B.D. B.D. is a 4-unit graduate of the CPE program at Bukal LIfe. Additionally there are some shorter testimonies and photos.